Longlisted for the Man Booker International 2018. Roland Barthes is knocked down in a Paris street by a laundry van. It’s February 1980 and he has just come from lunch with Francois Mitterrand, a slippery politician locked in a battle for the Presidency. Barthes dies soon afterwards. History tells us it was an accident. But what if it were an assassination? What if Barthes was carrying a document of unbelievable, global importance? 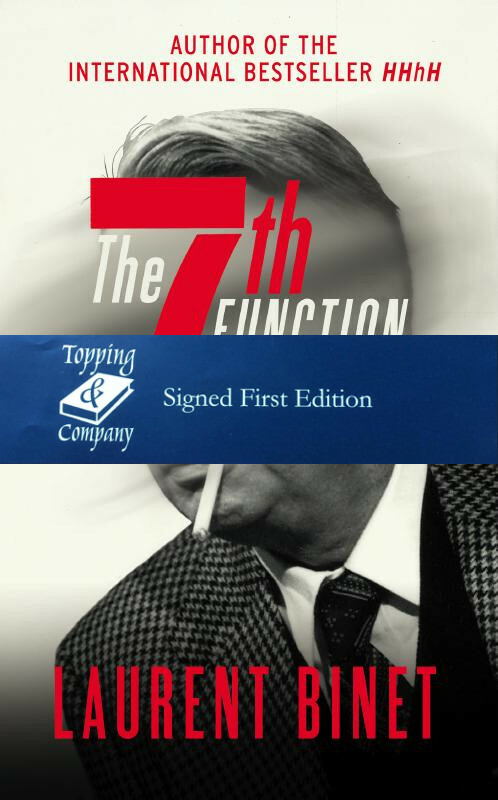 A document explaining the seventh function of language – an idea so powerful it gives whoever masters it the ability to convince anyone, in any situation, to do anything. Police Captain Jacques Bayard and his reluctant accomplice Simon Herzog set off on a chase that takes them from the corridors of power and academia to backstreet saunas and midnight rendezvous. What they discover is a worldwide conspiracy involving the President, murderous Bulgarians and a secret international debating society. In the world of intellectuals and politicians, everyone is a suspect. Who can you trust when the idea of truth itself is at stake?